Our cutting systems have been specifically designed to meet the requirements of modern confectionery manufacturing lines and differ fundamentally from traditional designs. The characteristic features of our modern design includes their unparalleled reliability, ease of cleaning and maintenance, and extremely accurate cutting. Because all our cutting machines feature knife travel which is synchronised with the belt speed, they ensure a clean and vertical cut. Its perfect balance enables it to reach cutting speeds of up to 500 per minute. In addition, it features multiple axis control, which guarantees a high level of flexibility and ease of operation regardless of product length. 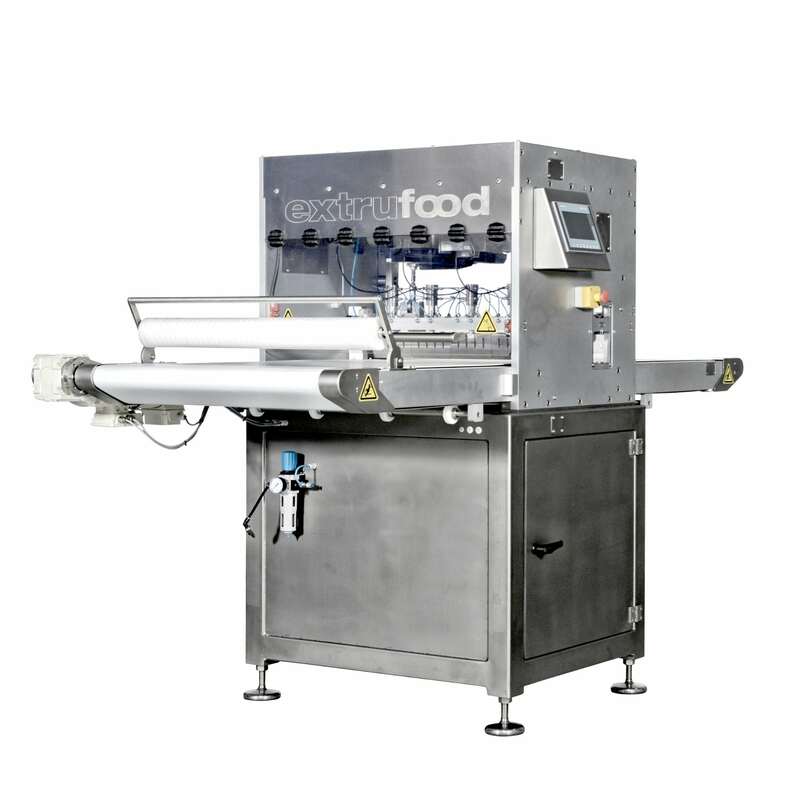 Depending on the required cutting speed and the width of the guillotine cutter, Extrufood offers various models. Some of these can be equipped with an ultrasonic device. This is by far the best solution for sticky products. However, adding an ultrasonic device to a guillotine cutter will limit the maximum amount of cuts per minute.